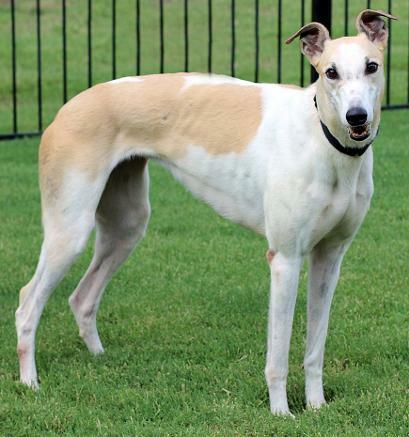 History: Dancer (Dirty Dancin – fun movie memories) is the pup of CTW Pole Dancer (who is the daughter of CTW Pop a Wheely) and her sire is CTW Plaza Rio (making her closely related to Lena). You have to laugh at her littermate names – Cage Dancer, Dancin Dame, Dancin Fool, Hiphopdancer, River Dancer and Salsa Dancer. Dancer got a slow start in her racing career and only ran 17 races. Maybe ”dancin” is more fun than “runnin”. 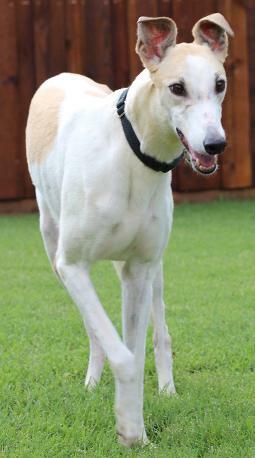 I’m sure Dancer would love to dance into your home and be a member of your family. 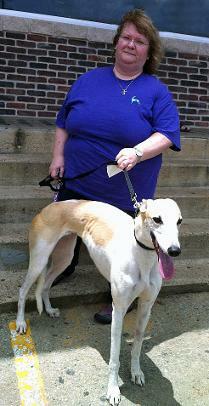 Dancer with her new mom Kathy! 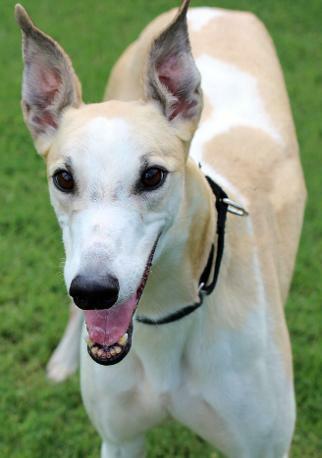 July 5, 2015 update: Dancer went to Houston to live with Kathy, her Dalmatian,Galgos and Greyhounds. Congrats to all. June 7, 2015 Foster update: Dancer is settling into her new environment easily. She loves being around the other Greyhounds but will sometimes go to her crate and take a nap by herself. She has a healthy appetite and has taken up the other dogs’ outside potty habits. Good girl. She is adorable, even with the thick coat (some of which she will probably lose this summer). 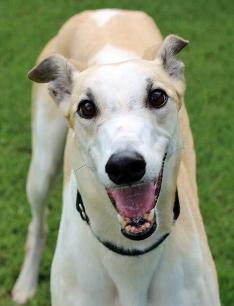 Dancer is greytful for a soft dog bed and sleeps soundly through the night. She has only been part of the TAGS family for a short time, but acts like a pro (retiree) already. 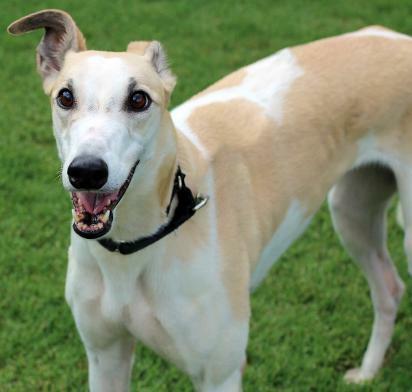 June 4, 2015 update: Dancer came to TAGS for a life of retirement and to find her loving lifetime home.